In this article, we mainly introduce the different between “Solids Control” & “Drilling Waste Management”. “Solids control” & “Drilling Waste Management” are frequently heard with the drilling mud, what is the difference between them? Drilling mud is the necessary material for the drilling work especially in the oil & gas drilling, there will be a lot of drilling cuttings when the mud circulates out from the well hole, which will influence the physical property of mud and the mud must be treated before going into the well hole again. The treatment process with the drilling mud is called “Solids Control”, because mainly the drilling cuttings are the solid particles with different sizes, it is called “Solids Control”. During the “Solids Control” process, the separated out solid particles or drilling cuttings by the equipments like shaker, desander, deacnter centrifuge are same called as “Drilling Waste”. Usually the drilling waste will be temporarily collected and poured into a pit on the well site. Then regularly they will be transported to the special facility for accepting the treatment, the “treatment process” is called “drilling waste management”. The main treatment process is to further lower down the liquid content (oil, gas, etc) in the drilling waste (that is also why we say it is to separate out the liquid from the solid) and lower down the harm to the environment. During the treatment process, the equipments like centrifuge, high-G shaker, vertical cutting dryer, screw conveyor will be used very ofen. As compared with the “Solids Control”, “Drilling Waste Management” is to further lower down the liquid content based on the former, so the latter has a higher requirements with the equipments. Such as the centrifuge and high-G shaker, compared with that used in the “Solids Control”, they must have higher rotation speed or vibration strength in the “drilling waste management”. In the past year, the crude oil price has broken many people’s hearts and it seems far from being recovered in the near future. Some people say that this situation will last 2 or 3 years, as is the positive expect. While per the negative respect, this bad situation would continue for at least 5 years. 1. some of them are buying in other similar companies, Halliburton merged Baker Hudges, and etc. 2. they lowered down the service price to cover some price lost from oil for the oil companies. 3. they are providing new types of services to get more benefits. 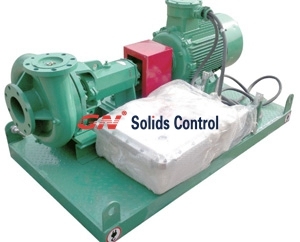 GN Solids America is the first USA based China solids control company. GN’s products are equal in quality and performance as its US and European peers. It is sure to better serve the end users. To prevent after-treated drilling mud separate by gravity while storage in the tank, it need mud agitator to perform consist mixing. Mud agitator is function as assistant of whole solids control machinery system by provide continue rotate circulating force to maintain spec of treated drilling mud. 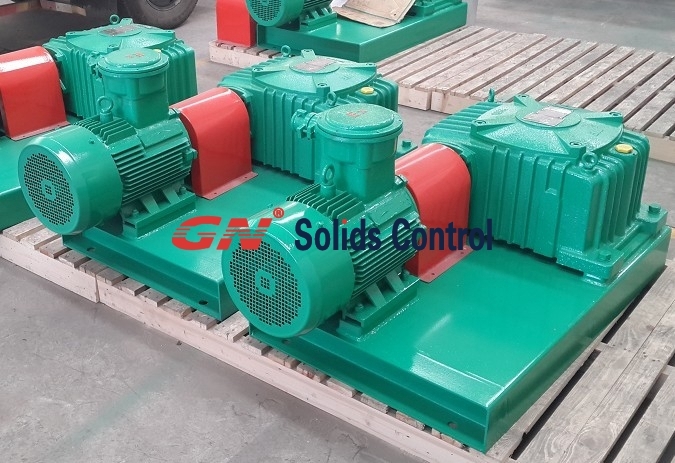 Chinese leading solids control machinery manufacturer GN Solids Control supply the world’s top oil drilling companies and service contractors with drilling mud agitator equipments. We are an exporter of drilling fluid mud agitator for major company in seven world region. Our factory and company are Quality Management System ISO 9001-2000 certified and first Chinese solids control machinery manufacture certified by American Petroleum Institute. 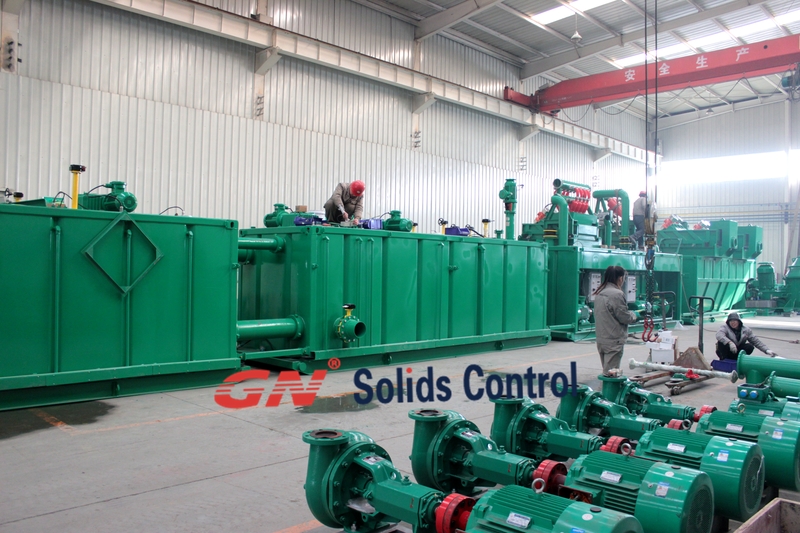 GN Solids Control’s Machineries operate international oil gas drilling mud separation system. We provide single source of sales, service, manufacturing, distribution. Purchase with piece of mind for drilling fluid mud agitatorfrom Leading Chinese manufacturer. Your best mud agitator for drilling mud circulation system. After the drilling mud filtered through whole set of solids control machineries, the treating mud is storage in reserve tank and pump back to the well for drilling bit lubrication. However, the treated mud will effect by gravity and created setting solid on bottom of the tank and the mud parameters is off the balance. To prevent this matter, consist agitated to the mud is need and mud agitator is serve for this continues mixing purpose. Mud Agitator chooses method is by the size of the mud tank to determine how big the motor will need for use. The height of the tank also determines the mud agitator will need either one or two impeller. It is simple, compact motor with impeller and motor from 3kw to 22kw and impeller size is from 650mm to 1100mm depends on the mud tank size, the torque created from motor created consists mixing cycle for great merit. To keep both the mud mixing evenly and the suspension of solids, the mud agitator is used to agitate the mud continuity and reliably. This agitator agitates the mud to make debris; silt and sand pass the solids control system without being sinking toward the tank bottom. Due to the simplex turbine decelerator, this product is featured by small size, light weight, evened transmission, minimum noise, high efficiency of transmission and strong mixing power. The electric motor use in agitator is explosion by requirement of the drilling field and reducer input shaft are connected through elastic shaft coupling instead of belt transmission, and therefore rotation speed of the wave wheel is constant, the maxing intensity is large and the range is wide, which has structurally avoided the phenomenon of engine’s overload at startup, suitable for wild field operation under poor conditions, and it is convenient to be installed, operate or replaced if needed. 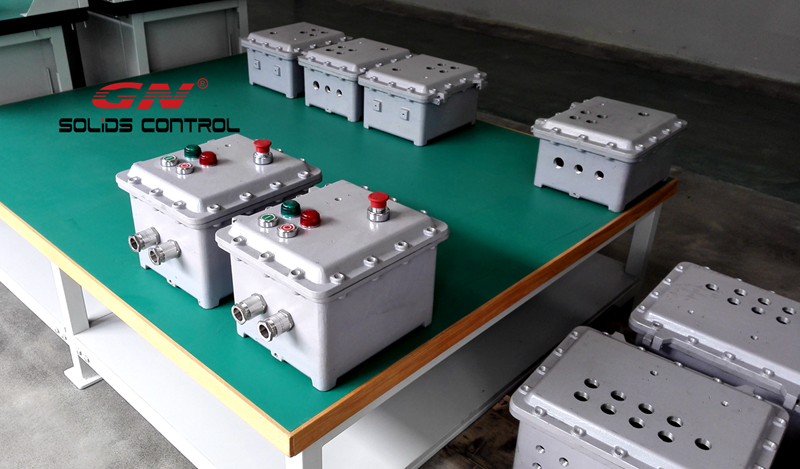 According to customer’s needs, all equipment shipped from GN factory could be first of all studying the commissioning process before the machine working. Sometimes, for that standard and individual equipment like shale shaker and mud cleaner or mud agitators, the trial test is going to be relative simple, therefore the customer could do on their own. The commissioning from the complete mud system, in order to some clients who don’t know how to operate solids control equipment, they might need GN dispatch engineer for their job site from the first time commissioning. Before manufacturing the mud system, GN always asks the client to showcase their job site location and expected layout plan. Thus GN’s engineer would design the mud system according to the website area and layout. In the end the gear and hooking up parts shipped to site, the client could assemble the gear extremely fast according to design around the drawing. 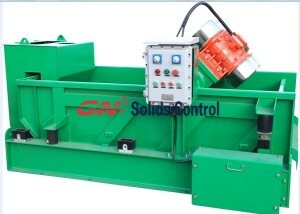 Just like proven in below message, the mud cleaner unit is situated between 2 unit shale shakers. This isn’t an ordinary layout for drilling liquids recycling system. After fully consideration around the narrow part of the job site and convenience on hooking up the pipeline, GN’s engineering team suggested a strategy to place the cyclone unit between your shakers, the mud out of the well could be given individually into 2 unit shakers, after that it will pump towards the cyclone unit for more treatment. GN’s shaker deck is locked throughout transportation, prior to the trial running, the operator need fixed the shale shaker on the top from the mud tank and unlock the deck. The vibration motor is originating from famous label Martin with explosion proof standard for thought on safety. Simple structure is among the options that come with the GN’s shale shaker; the consumer can certainly master how you can operate it and perform the commissioning themselves. Concerning the control panel, GN provides electric diagram, the operator can begin and switch from the shale shaker without an excessive amount of electrical understanding.